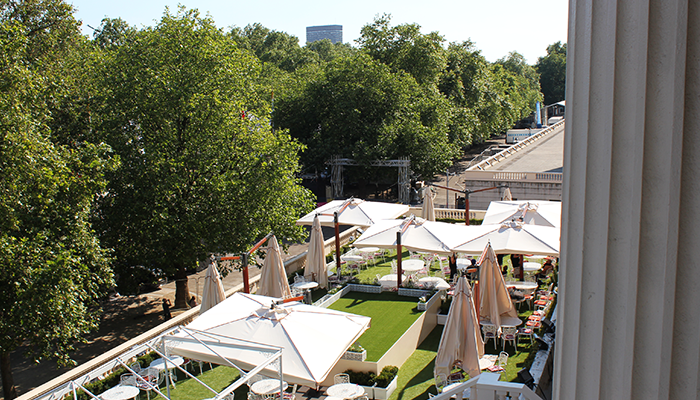 Carlton House Terrace was taken over by G&D Events for the duration of the 2012 Olympics on behalf of Bosco, the main sponsor for the Russian team and delegation. 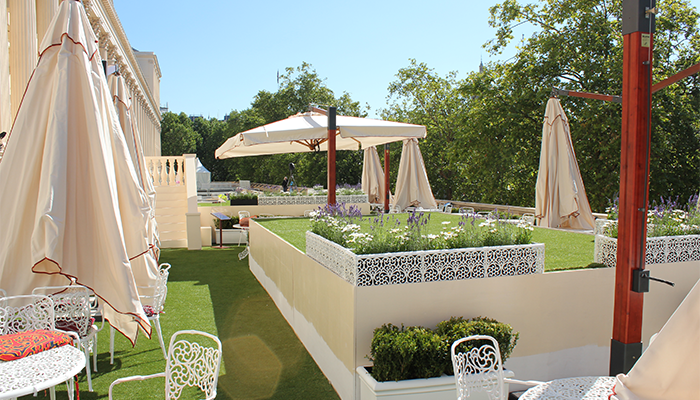 EHP were contracted by G&D to construct a bespoke, Italian style garden on the roof of The Mall Gallery on Carlton House Terrace for guests to relax in. 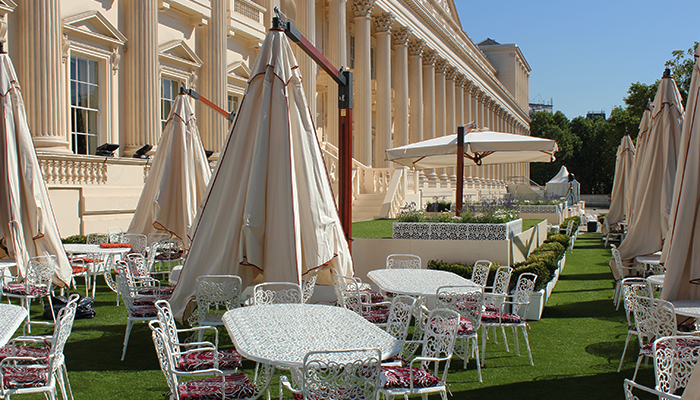 To devise and construct a bespoke structure, capable of holding the weight of cherry trees at the front of the building on Carlton House Terrace. 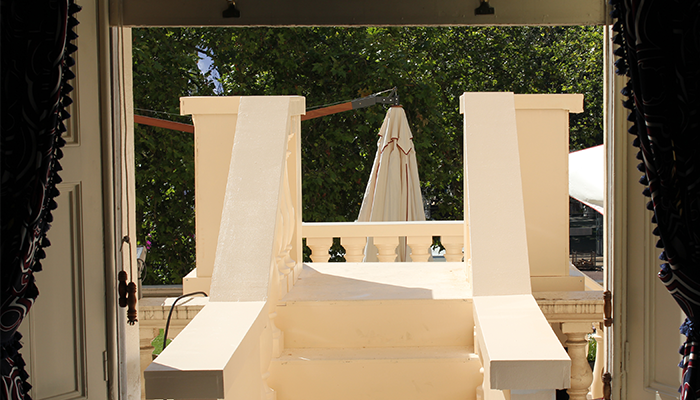 This should also include a complex, counter-balanced set of grand steps from the Carlton House Terrace building to the roof of the Mall Gallery. 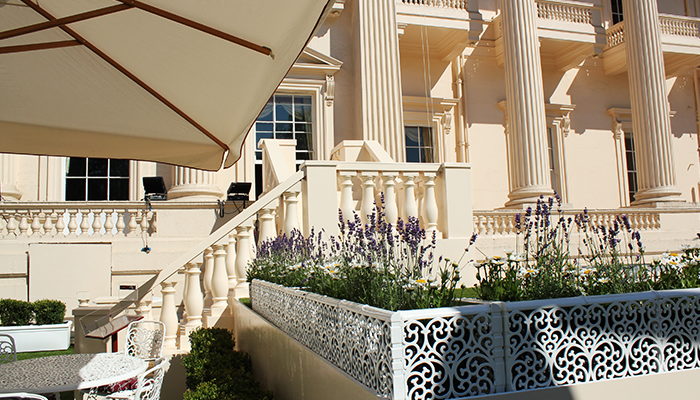 Being part of the Queen’s Estate, everything built should be in-keeping with the existing listed buildings as per licensing contracts. With such a complex build ahead of us and all materials having to be craned in from the Mall to the rooftop to the counterbalance the steps, structural calculations needed to be exact. To ensure that they were, we enlisted Momentum Engineering as consultants on the project. 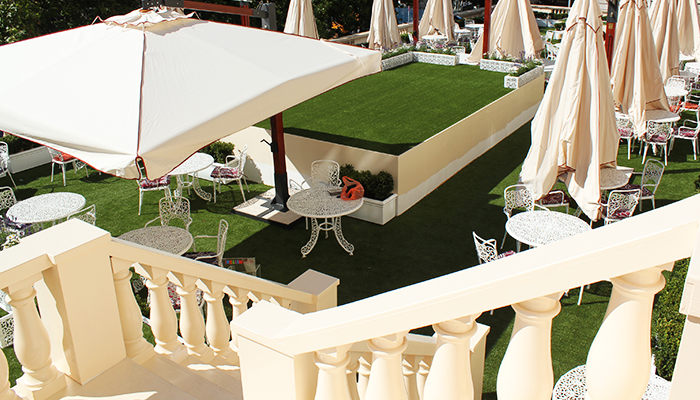 With the combined efforts of our teams, an ordinary rooftop was transformed into a summer paradise within the space of just a week, ready for guests to enjoy a pocket of peace and tranquility as the drama of the 2012 Olympics unfolded below.